Missing Tyler is an absolute gem. This novel is a tender, heartfelt, and deeply honest story of death, grief, recovery, and love. It’s one of the few books I’ve encountered that so honestly takes on the essential issues surrounding an untimely and tragic death: the effects on family, questions about the afterlife, explorations of grief, and ways to recalibrate one’s life. Those alone are many gifts; but the novel also offers humor and joy and love — all the complexities of the human heart. This novel shares a beautiful story, writing, and soul. An amazing book with a thundering heart. 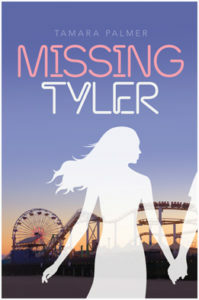 With the explosion of young adult novels out there, Missing Tyler, by talented writer Tamara Palmer, belongs in the category of “you must absolutely read.” The story pulls you into the many undiscovered feelings these believable young characters experience. Tremendous loss and the grieving process, young love that many can identify with, and the struggles of adult relationships that slowly become unglued are portrayed and experienced. Seamlessly, Tamara ties everything together to allow the reader to be swept along on the waves of emotions encountered in the roller coaster of life, and then be left with comforting cool breezes to anticipate the next event. Tamara Palmer has done a captivating job of absorbing the reader in a recognizable journey of grief, loss, and teenage angst. This young adult novel takes the reader though a healthy grieving process with grace and resilience, and includes an amazing modeling of strength that offers significant lessons in how to recover from our own losses. Despite the topic of death that underlies the story, the author makes the journey pleasurable and suspenseful. As a psychologist, I highly recommend this book to anyone working on recovering from the loss of a loved one, or who would just enjoy a good read. Heartbreaking, real, witty and powerful all at the same time. A debut novel of surviving heartbreak in your family while navigating growing up and accepting change. Tamara Palmer does a good job of capturing the teenage personality of all the characters, and we can feel Kit’s struggles as she experiences growth through the pain of losing her twin brother, Tyler. The Jewish traditions and rituals in the book, and the extended family with normal struggles help the reader clearly see Kit’s full world.